A mug is something that is used every day, so giving this as a gift becomes close to their heart. A warming cup of tea, coffee or cocoa feels even better when drank out of a mug with an Easter drawing from your child. We produce individual items from your child’s drawing, so you can give a gift that is totally unique. Give your child a present that has something of themselves in it. Our range of cuddly toys look amazing. But, here’s the rub – they feature a T-shirt with your child’s drawing on. There is no better way to put a smile on their face than by gifting a toy that will stay with them for the rest of their life – they can always look back on their own art work too! Of course, many people will want that hit of chocolate at this time after maybe giving it up for Lent. The tin of chocolate eggs is the perfect way to wean someone back onto this treat slowly. The tin is lovingly created from the drawing of your child. This means whoever receives it will be able to see how great they are at drawing – and treasure it forever. We all want to share the love, and this is the ideal way to make that love go a long way. Of course, there will still be people (often the younger ones in our lives) that want an Easter Egg. 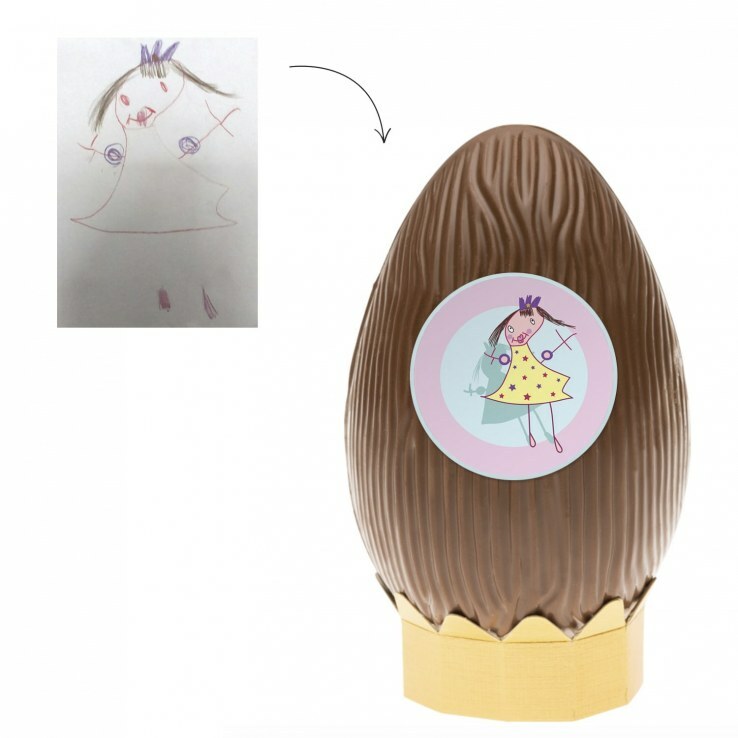 Why not give them a gift that is personalised by getting an Easter Egg that features the drawings of your child. Whoever this is for, the faces of the recipient will light up when they see the work and effort that has gone into this gift.